Our tuition & fee structure is complex because LSU is a public university and the State of Louisiana funds part of the Law Center. As per state guidelines, non-residents of Louisiana are billed non-resident fees in addition to tuition. A student is considered a non-resident if he or she has not been domiciled in Louisiana continuously for at least one full year before the first day of classes (in addition to other residency criteria). *Tuition and fees are subject to change without advanced notice. University policies and rules regarding payment of tuition and fees are listed in the LSU Law Catalog. At LSU Law, most of our LL.M. students receive some form of financial assistance through merit based tuition and non-resident fee waivers. Our waiver awards have ranged from $1,000 to full tuition/non-resident fees waivers. The amount waived depends on the overall academic and professional strength of an applicant. Although financial need may be considered, waiver awards are primarily merit-based and are only extended to applicants who have excellent academic credentials. Only the very best applicants may be awarded a full waiver of tuition and fees. In addition to grades, the LL.M. Admissions Committee considers experience in the practice of law, volunteer work, publications, research projects, academic honors such as scholarships, prizes, memberships in honors societies, memberships on legal journals or law reviews, etc. When you add tuition, non-resident fees, and mandatory fees, our LL.M. program costs approximately $40,000. However, as a result of these waivers, on average, the cost of tuition and fees paid by our LL.M. candidates is below $10,000 for the entire year. This makes our LL.M. one of the best value graduate legal studies programs in the U.S.
Keep in mind that the cost of tuition and fees featured on this page does not take into account the cost of living expenses, books, and health insurance. Since most of our international students require a J-1 student visa to study in the U.S., it is important that admitted applicants are aware that they will need to prove, with bank statements, that they have a minimum of $13,000 in available funds for living expenses (in additional to funds for education expenses). Those who are unable to prove that they are able to support themselves financially during their studies will have their student visa application denied. We, therefore, encourage all prospective applicants to visit the Cost of Living section of our website. The A.N. Yiannopoulos Scholarship was established by late LSU Professor and Tulane Professor A.N. Yiannopoulos. The scholarship awards $2,000 or more per semester to an incoming LL.M. candidate who has exhibited exceptional academic achievement. Professor Athanassios Nicholas “Thanassi” Yiannopoulos, a Louisiana law legend who passed away on February 1, 2017, established this scholarship in 2009. Recipients must be full-time LL.M. students of the Law Center, and the Law Center invites applicants to the LL.M. program to apply for consideration as part of the standard LL.M. Program application process (the scholarship is addressed in the application form). Professor Yiannopoulous was a renowned civil law professor who helped to revise and rewrite major parts of the Louisiana civil code. He also helped to educate and shape generations of lawyers during his 21-year tenure at the LSU Law Center, and thereafter at Tulane University Law School where he was a professor until his retirement in 2007. Professor Yiannopoulos was born in 1928 in Thessaloniki, Greece, where he grew into adulthood under Fascist occupation during World War II. After pursuing justice through participation in a youth resistance movement, young Thanassi earned a law degree in his native Greece in 1950, and then served in the Greek military. During his military service, Thanassi won a Fulbright Fellowship. 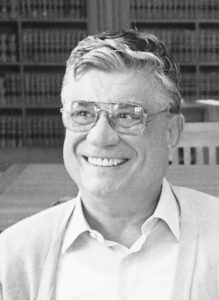 Upon his discharge from the military, he traveled to the U.S. to earn advanced law degrees from the University of Chicago and the University of California, Berkeley, and he joined the LSU Law center faculty in 1958. Declared “Louisiana’s most influential jurist in our time” by the Louisiana Bar Journal in its 75th anniversary issue, Professor Yiannopoulos engaged in a renaissance of Louisiana law during the 1960s and 1970s, which re-instated the civil code as the primary source of law. In addition to this contribution to Louisiana law, through his scholarship, teaching, and interactions with colleagues, students, and countless others, Professor Yiannopoulos left a legacy that transcends borders and time. The Tullis Fellowship in Civil Law was established as a means of assisting a worthy graduate student who may wish to become a candidate for a Masters in law with some focus on the civil law. The LL.M. Program Committee is looking for a graduate student who is interested in taking at least two civil law topic courses (i.e., Louisiana family law, Louisiana obligations law, property law, etc.). If you are interested in writing a research paper (for credit) on a civil law topic whether it be related to the civil law tradition, the Louisiana civil code, or a comparative civil law topic, this may be of value as well. Note that since this is an endowed scholarship, the amount awarded may vary from year to year. There are financial aid and scholarship programs offered to international students by private organizations. Many of the awards are targeted to specific countries. An excellent search tool to identify these programs is Edupass. The Fulbright Commission offers opportunities for scholarships to citizens of almost all countries. The Organization of American States (OAS) offers opportunities for loans and scholarships. The Leo S. Rowe Pan American Fund of OAS offers loan opportunities for Latin American and Caribbean applicants. The OAS also awards academic scholarships to undertake graduate studies for residents of Member States. You may also visit Affordable College Online, featuring Financial Aid for Graduate School. Candidates may also wish to apply for private loans from U.S. banks or financial institutions. You may also want to look at Free Application for Federal Student Aid (FAFSA) and Student Loans for Grad School.